AKA Mighty Jones, Mighty Honey. “The Magnet EP” captures moments when life and love forcefully confront adversity and wrestle with loss – of loved ones and of time. Andrew’s lyrical approach is sharp-edged, often blackly (and hilariously) ironic, as he faces down his subjects in mirages and dreams. In “Hold Me Back,” he weighs a brick in his hand, eyeing the television set, where “missiles whistle, bullets sing,” and “men don’t cry, they bleed.” Delusion is peeled apart in the lucidly dreamt “You Can’t Kill Time.” In the title track, Vladeck mixes images and memories and creates a specific yet universal song of mourning; he dreams of a visit from his friend and former bandmate in The Honey Brothers, Pierre Michel. “Chinatown” holds the tension, as Andrew stares at a horizon where the sun seems to rise and set all at once. And “21st Century” is a post-folk collapse, a perfectly hypnotic closing meditation on a brother gone to war. Recorded by Kyle Fischer (formerly of the band Rainer Maria) and mixed by Dave Schiffman (Johnny Cash, Mars Volta), The Magnet EP is a solo effort that incorporates hotwired, old-time instruments and effects pedals – a sound Andrew has been woodshedding at his home in Brooklyn. The record blends indie rock and folk, the modern with the historical, fusing the music of The Harry Smith Anthology with Andrew Bird, St. Vincent and Beck. A native New Yorker, Andrew’s music has the quick wit of someone who cut his chops playing odd instruments on subway platforms. The former NYC Urban Park Ranger is a prolific songwriter, collaborator, touring artist and regular on the New York scene. He was voted NYC Artist of the Month in the Deli Magazine, and was recently awarded First Place in the Int’l Songwriting Competition. Andrew is also a bandmate with The Honey Brothers and Balthrop, Alabama and an active member in the community of musicians centering around his record label, End Up Records, performing on albums by artists like Caithlin De Marrais and Seb Leon. Andrew bikes over the Brooklyn Bridge twice a day, and lives not far from where his grandparents used to live. He recalls them taking him with crayons to the Brooklyn Museum to draw pictures of mummies. 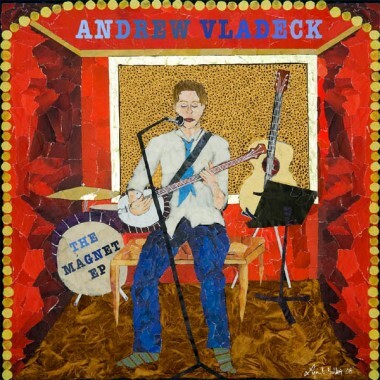 The Village Voice calls Andrew’s music “nothing but fun.” Music Connection (LA) calls it “absolutely entertaining.” He’s been a Critic’s Pick in the Independent Weekly (Chapel Hill), The Nashville Scene, The Hartford Advocate, The Columbia Spectator, and AM New York.